Somewhere in time, a list was developed to assist all us hapless shoppers figure out what we should give our spouses as a milestone gift to mark each year. Hallmark has the annual gift giving broken down for both traditional and modern ideas. If you’ve got it covered for the years that call for gifts of paper, appliances, candy, or even fire (what?? ), but need a little help with ideas for gems and metals, here are a few examples of jewelry to spark your gift-giving imagination and keep the romance alive. Superman had his Fortress of Solitude made from crystals. 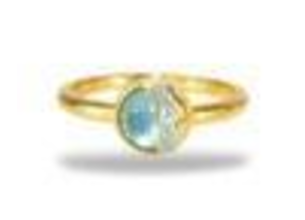 Wrap their finger in a beautiful topaz crystal to let them know they’re still your hero. 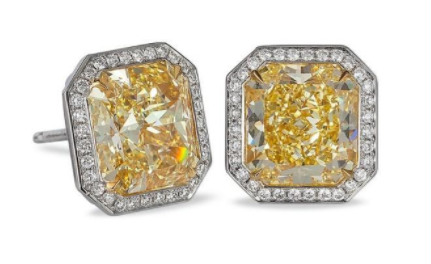 If you and your mate have made it to 60 years, then that calls for pulling out all the stops with yellow radiant-cut diamonds! 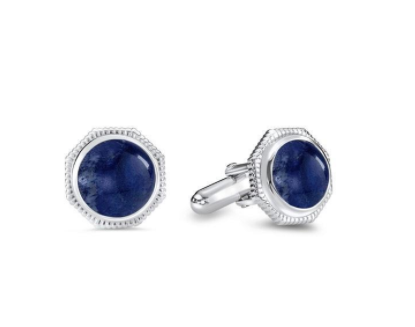 Keeping the man in your life looking spiffy is just another act of love, and a pair of custom-designed cuff links will send him off to work the next day in style. 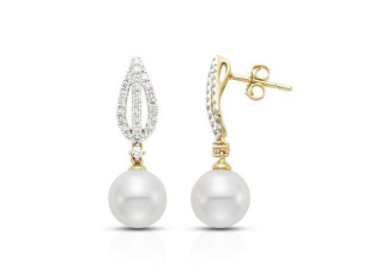 You hear every pearl of wisdom she’s been dropping on you over the years, and you’re going to show it by dripping a couple of beautiful pearls from her ears. “Nuff said! Exchanging matching gold rings while renewing your vows can brighten up these special years. 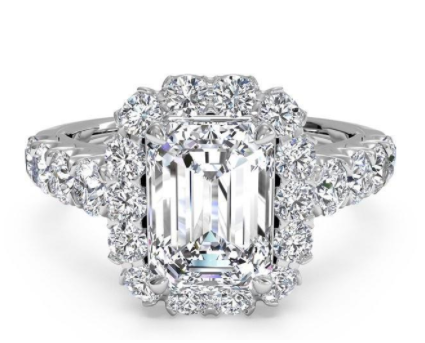 These last 20 years have meant something to you, so you should lavish your Queen with a circle of princess-cut diamonds set in a shiny platinum band. She’ll love it. After 25 years, you still wear your heart on your sleeve. 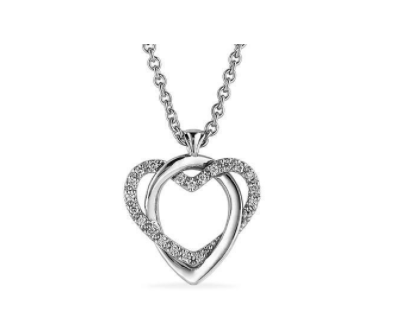 With a beautiful sterling silver heart pendent, she can wear it around her neck. 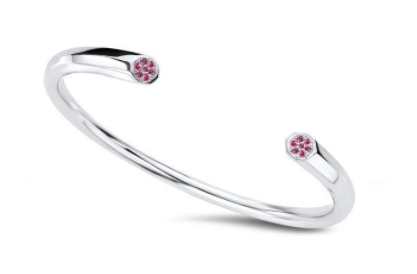 Add to her glittering collection of jewelry with a ruby studded bangle bracelet, that will shine with the intensity you still feel for her as you go out for a night of dining and dancing. Sapphires are considered celestial, and associated with wisdom and sacred things. A special sapphire ring could symbolize the sacred life lived you’ve together for 45 years. The actual intent of giving an Emerald gift may be to present a green gemstone. But it’s been 55 years! Go big with a huge emerald cut diamond surrounded by side diamonds for extra bling in the ring for your life mate. The milestones in our lives, be they anniversaries, births, graduations, or another other significant event, deserve a special and long-lasting milestone gift to mark the occasion. 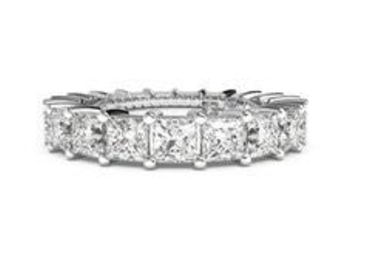 Your selection of a timeless piece of jewelry is perfect any special day or milestone year!